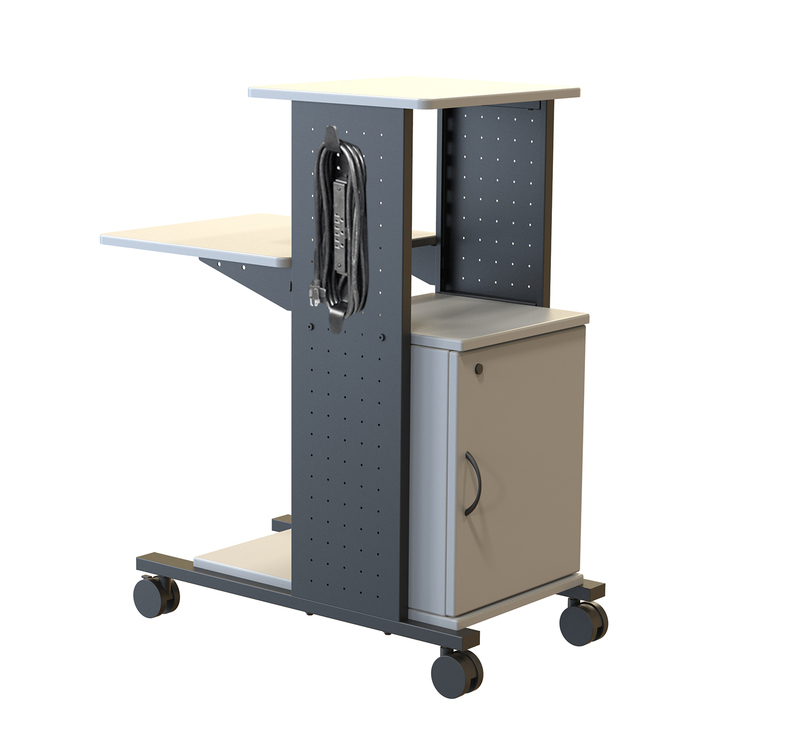 Whether in a classroom or meeting, the Luxor 40" Mobile Presentation Station provides a versatile solution for presenting and storing AV components. 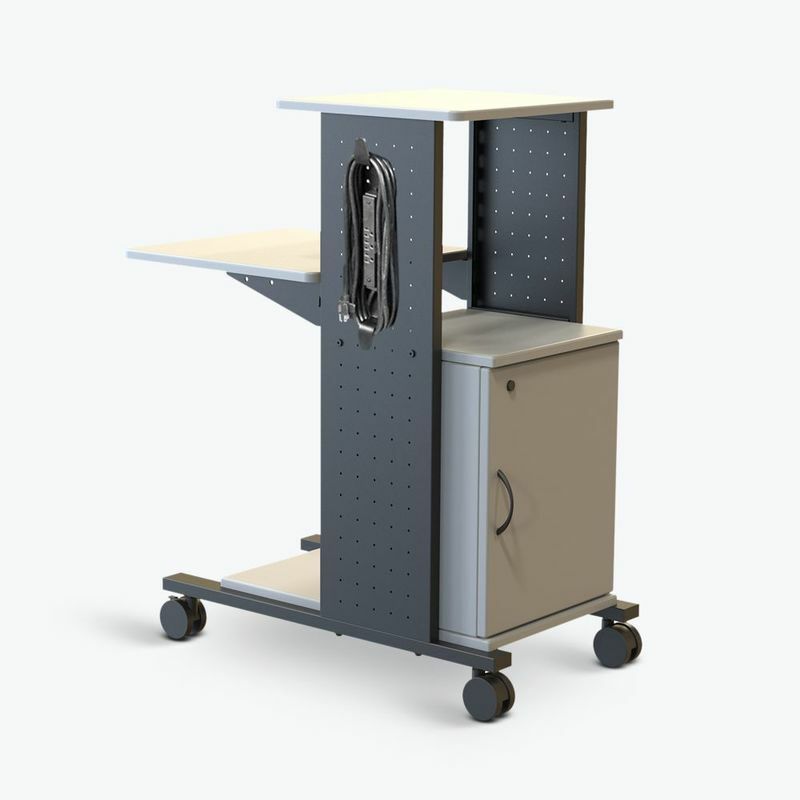 This multipurpose presentation cart has four shelves set at differing heights and offers platforms that can hold a projector and laptop while providing plenty of space for other equipment and accessories. The cart also includes a locking, veintilated cabinet for storing items and a three-outlet electrical assembly with built-in cord wrap. The second shelf functions as a keyboard tray and adjusts between 32" and 40" high, accommodating multiple users. 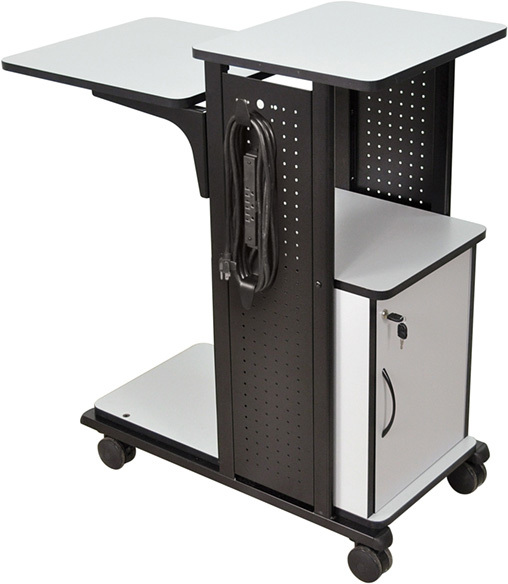 Four silent-roll 3" casters deliver total mobility, while two locking brakes keep the unit stable during presentations.